Have you ever managed to access the Maltese version of the environment, health, education and finance ministries’ websites? They do not exist. Apart from the Office of the Prime Minister’s website, only two ministries have a bilingual online site: those of justice and foreign affairs. The issue of bilingualism on official government sites was brought up during a recent Digital Prospects for the Maltese Language seminar by the European Commission Representation in Malta. When contacted by Times of Malta, university lecturer Michael Spagnol noted that the issue had been raised more than once among his colleagues. “Maltese is our national language, so if Maltese ministries do not use it, then who will,” he asked, adding that having websites in Maltese was a citizen’s accessibility right. According to the Constitution, English was the co-official language and even the language of the courts was Maltese. Whenever the EU launched digital information or some legislation, this was translated in Maltese too, he noted. “We need to get over the myth that all Maltese understand English,” Dr Spagnol added. According to the latest census data, nearly two­-thirds said they could speak English well and another 16.3% claimed to have an average standard. While speaking English was a different skill to that of understanding English, not everyone felt comfortable admitting they were unable to communicate in English, meaning there could be others who did not understand the language, he pointed out. Dr Spagnol noted we were witnessing increasing efforts within the private sector to include both languages when dealing with clients. Banks’ ATM facilities and documentation were in both languages, the national airline’s website could be accessed in different languages, including Maltese, and text messages sent by advertisers were in both languages. “Why doesn’t the public sector also boost its efforts to communicate with people in Maltese,” he asked. 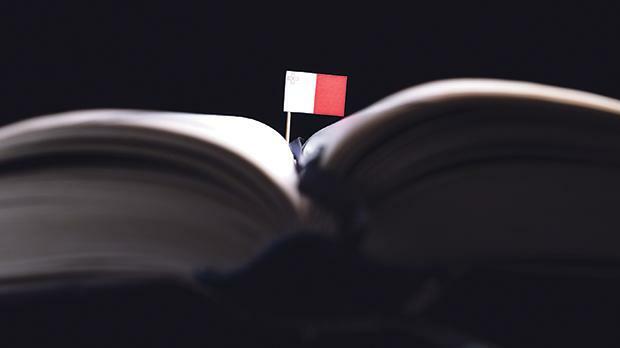 Thomas Pace, executive director of the Maltese Language National Council, said the council has been in touch with the Principal Permanent Secretary on the possibility of issuing guidelines on the use of the official languages by government entities. The council had noticed an improvement in some circulars, vacancy notices and on the servizz.gov.mt site, however, without political will and human resources, that is where it all stopped. Even the default version of the government’s main site (gov.mt) was in English. The council was willing to provide support and guidance to the various entities when it comes to bilingual sites or educational campaigns. “Sometimes, we’re told that officials don’t feel comfortable using Maltese spelling. However, this does not make much sense because a proficiency test in both languages is one of the requirements tied to public officials’ vacancies,” he said, adding there were also various courses in the Maltese language. The council is calling for a communications official to be appointed in each ministry and department to ensure that public statements, leaflets and information on social media are bilingual. This should also be the case for public consultation documents that are of interest to the public because, at the moment, only the site’s address was in Maltese. Maltese – together with English – should be used more in published and digital publications and, therefore, become more visible, Mr Pace remarked. Apart from reflecting the bilingual declaration in the Constitution, more frequent use of Maltese online would also help in the development of software and digital apps because the generation of an adequate vocabulary required a high frequency of Maltese text, he added.